Good morning darlings! Now I know it isn't Monday but I did have the chance to get created Monday evening and just had to share. I've been trying to test my boundaries and push my limits when it comes to my nail art so I decided to tackle striping tape for the first time. Now cutting the stripes, applying them and removing them proved a challenge but I think I did a pretty sweet job! 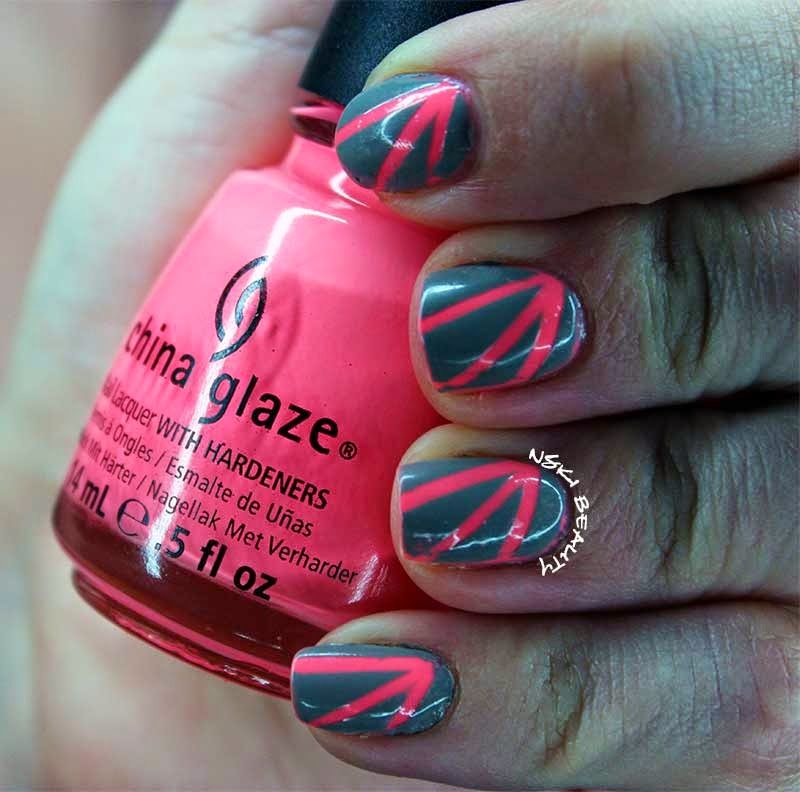 Wanting to have a pop I went with China Glaze's Flip Flop Fantasy, applied my striping tape, applied two coats of NYC New York Color's Sidewalkers then removed the tape. The key to clean lines is to do the nails one at a time and give the polish some time to dry before applying your top coat as you can side on my middle finger in some of the pictures. Very cool. I doubt my old eyes could accomplish that. I love. love, love pink and grey together. I never take the time to add another look to my plain polish. This looks like something I could manage. Love that pink with the gray! I've always wanted to try this tape stuff, because it seems like such an easy way to get a cool look, and I'm terrible with detail work. 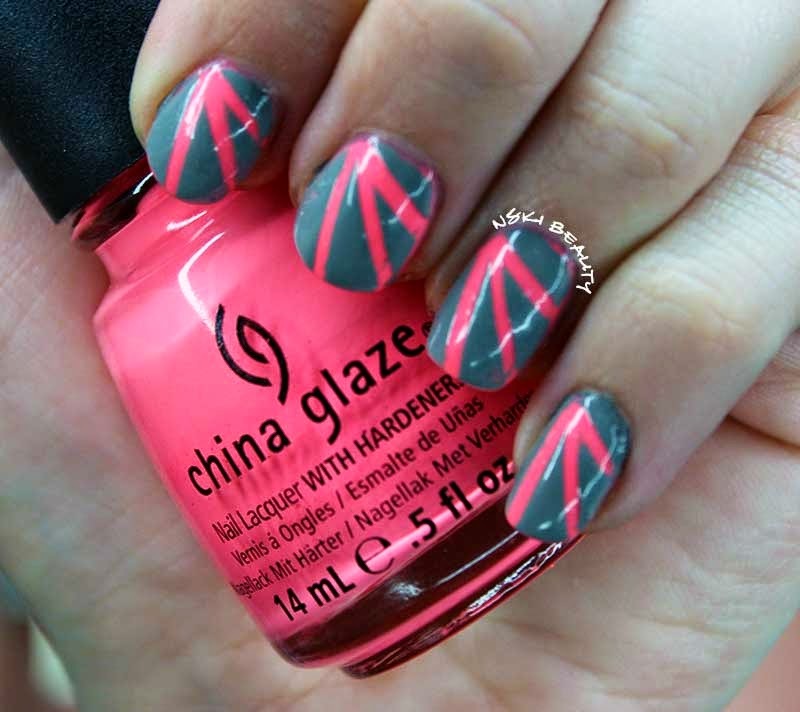 This would be a fun way to add a different spin on an accent nail too. 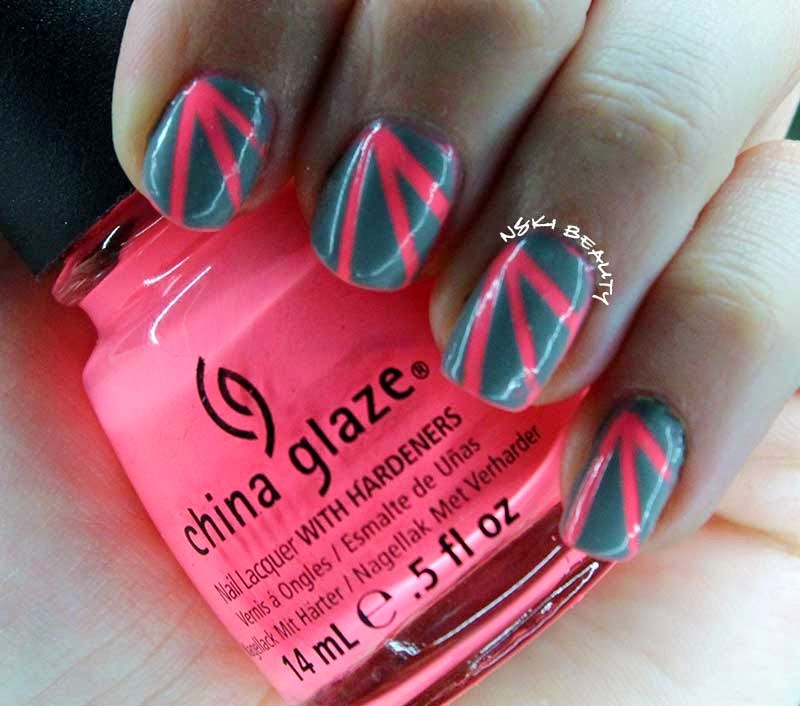 What a cool mani. I love the combination of the grey and pink. Love it - such awesome colors!! !